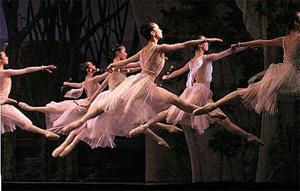 Sylvia is a typical classical ballet in many respects, yet it has many interesting features which make it unique. Sylvia is notable for its mythological Arcadian setting, creative choreographies , expansive sets, great influence on the arts and, above all, its remarkable score . 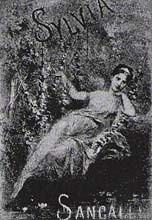 The ballet's origins are in Tasso 's 1573 poem " Aminta ," which describes the basic plot of Delibes' work. Jules Barbier and Baron de Reinach  adapted this for the Paris Opera   . The piano arrangement was composed in 1876 and the orchestral suite was done in 1880  . When Sylvia premiered on June 14 , 1876 at the Palais Garnier , it went largely unnoticed. In fact, the first seven productions of Sylvia were not successful. It was the 1952 revival, choreographed by Sir Frederick Ashton , that popularized the ballet. Ashton's success set the stage for the 1997, 2004 and 2005 productions, all of which were based on his 1952 choreography.